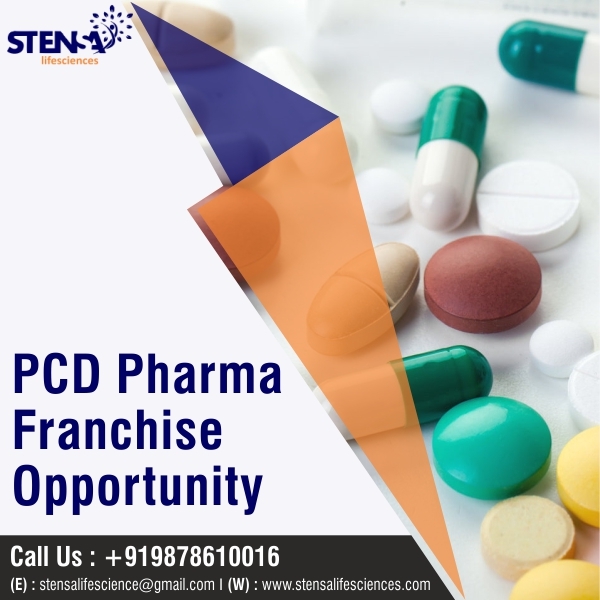 PCD Pharma Franchise in Himachal Pradesh – Stensa Lifescience has widely appreciated by customers for its flawless drug range and reasonable price. Since its inception, we have been moving morally and ethically toward fulfilling the drug requirement of the pharmaceutical industry. Presently, our product range is spread all over India. We are also providing our franchise in several demanded areas in India such as Punjab, Andhra Pradesh Uttar Pradesh etc and now we are providing our PCD Pharma Franchise in Himachal Pradesh. The reason behind choosing Himachal Pradesh is its immense population. Baddi is considered as the most reputed industrial area, which is also located around Himachal Pradesh. If you are willing to start up a franchise business here then Stensa Lifescience would be the best company to associate. Our company has received numbers of certification by continuing delivering quality drugs. By providing PCD Pharma Franchise in Himachal Pradesh, we only aim to come over the scarcity of medicine but also opens up the much exclusive business opportunity for people. To know and detailed information about our offered information our offered business opportunity, feel free to contact us through +919878610016. You can also drop us an email at stensalifescience@gmail.com. Once you will explore the pharmaceutical market, you will find multiple pharmaceutical companies presents in India. There are lots of companies to associate with but who will provide you the best is quite hard to find out. Also, there are many other important things like the domain name, packaging of offered drugs, market value and other things about the Pharma Company that you have to consider before choosing. Stensa Lifesciences is the leading Pharma company Himachal Pradesh. Here we target various locations for Pharma Franchise like Chamba, Bilaspur, Hamirpur, Kangra, Kullu, Shimla, Mandi, Una, Solan etc. We are moving ethically and morally toward its goal. We have all the essential or important features that make a company the leading one. We have a talented team of experts; provide marketing and promotional backup and many others. Due to our high-quality product range, we have been ranked in the list of top PCD Pharma Franchise Companies in Himachal Pradesh. Himachal Pradesh Franchise for Pharma PCD has a good scope, you only need to make sure that you invest in the right pharma company. Himachal Pradesh has numbers of pharmaceutical companies as the region is excised duty-free and reduces lots of cost for medicine manufacturing. Apart from this Himachal Pradesh has numbers of good hospitals, clinic. Mandi region of Himachal Pradesh is now having AIIMS hospital, it won’t be wrong to say the healthcare of Himachal Pradesh is growing at a good rate. This is great for those who are willing to invest in PCD Pharma Franchise Business. The company will provide you with the best promotional backup from our end. You will get reliable promotional support through which you can easily get exposure in the market. there are a variety of promotional kits that you will get from our ends such as calendars, key chains, pen, dairies, T-shirts and many others. Monopoly rights are one of the most powerful marketing weapons that you can use to get leads as well as exposure in a very short time frame. by obtaining such privileges you stay protected with the potential competitors, who can barriers in your way to success. Being associated with the franchise company, you will also get this support. There is no one who will rule in this business. Thus, you can be your own boss. Once you get the chance to be your own boss there is a higher chance to be innovative at your work. Also, you can show your managing skills. Once you will be a part of the franchise business, there is a higher chance of getting good career growth. Being franchise partners, you will have sound knowledge about the pharmaceutical industry. You will get the chance to establish yourself as the retailer, wholesaler and other related sectors. we provide you the good customers support until you will not get the recognization. our company has a separate customer cell in our company, which is responsible to deliver the best customer support to customers. There are many other benefits that you would get is associated with our company. If you are willing to know whether how you can reach us and discuss the thing then go through the below-mentioned points. All the given details are perfectly working. You don’t need to go through a lengthy process to reach us. We have made our network very clear. Join hands with one of the top PCD Pharma Companies in Himachal Pradesh and get an opportunity to earn more in Pharma Franchise Business. Our Company deliver an excellent range of medicine and make sure that everyone gets a growth opportunity. Start your business with us in Himachal Pradesh and get the chance to be your own boss.